I am a happily married, strong, confident, independent woman and a mother of 2 great kids!! I try to practice what I preach each day through living a healthy, balanced life. I enjoy helping others to help themselves whether it be training them personally or in a fitness class or chatting about nutrition. I am… Certified through Can-Fit Pro as a Fitness Instructor and a Personal Training specialist. Canadian Red Cross Certified CPR/AED level C. St John Ambulance First Aid. CSNN Certificate (Nutrition). Certified TRX Suspension and Rip Cord Trainer. Pre and Post Natal and levels 1 and 2 stability Ball training. Maddog Spin Instructor. Always reading, attending workshops and conferences to stay up to date on the ever changing industry. I’ve worked in various other fitness settings/gyms and in my own home and have now become settled at NFC. I currently teach Spin and Core and love the enthusiasm each of you bring to class. It’s great to see the improvements every week in strength and endurance and the encouragement you give to each other. Keep up the AWESOME work. Tammy’s Yoga journey began in 2001 when she discovered yoga as a Certified Can-Fit Pro Personal Trainer. 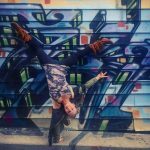 She began instructing yoga in 2004 and in 2009 became a Certified Yoga Teacher through Heather Greaves and Integrated Yoga Therapy. In 2011, during her Meditation Teacher Certification training with Samagra, Tammy travelled to India where her respect for yoga deepened. 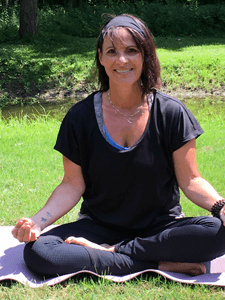 Tammy believes that all life is yoga and that the more we breathe, relax and exercise with asanas, the more we cultivate an attitude of peace, acceptance and joy. Hi there, I’m Sheree! I am one of the Certified Aqua Fitness Instructors here at the Norfolk Fitness Centre. I have been teaching Aqua Fitness for 25 years now and the last 2 ½ years here. I am also a Full-time certified Supervising Instructor and Guard for the county. In my spare time I enjoy competing in UFE shows, challenging myself to reach new levels in training and diet. I love doing many activities such as rollerblading, snowboarding, skiing, walks, and riding my bike. I also enjoy my down time where I can just sit and read a book or float and tan in my pool!! I am very happy to be part of such an amazing team here at the Norfolk Fitness Centre. I have been dedicated to my personal Yoga practice for several years. I am constantly seeking new information that helps inspire myself as well as others. My goal is to keep the practice safe, and yet challenging enough for students of every level. I do my best to practice what I preach, and I always encourage play! I believe it is an important part of the journey, to discover what brings you to the mat each day. For myself it is expression in movement, and exploring the self within. I am certified in teaching Yoga, as well as First Aid/CPR, Indian Head Massage, and Thai yoga massage. With the ambition to continue to seek new skills and techniques to help others find wellness and joy in their everyday life. I encourage you to ask me any questions you have regarding healthy living and especially Yoga!